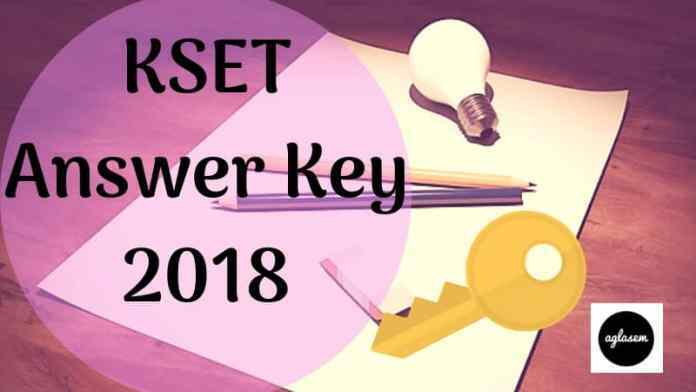 KSET Answer Key 2018 – The University of Mysore has released the KSET Final Answer Key 2018 at kset.uni-mysore.ac.in on February 08, 2019. Earlier the provisional answer key of Karnataka State Eligibility Test was released on January 14, 2019. The candidates who have appeared in the exam on December 30, 2018. The answer Key has released in the form of pdf. The candidates can simply download the subject wise pdf of answer key. Candidates can calculate their marks with help of KSET Answer Key 2018. Now the result of KSET 2018 will be released soon. From this page, the candidates will get full information regarding KSET Answer Key 2018. Latest: The KSET Final Answer Key 2018 has been released. Scroll down to access the link. Answer Key helps the candidates in estimating the marks scored in the examination. From the answer key candidates can also estimate the chance of qualifying the examination. For more information regarding KSET Answer Key 2018 check the schedule given below. The conducting authority has released the notice for releasing the answer key. The candidates have to submit Rs. 1000/- per question if they want to object the answer key. The objection fee is non-refundable. After considering the challenge submitted by the candidates the final answer key will be released. From below candidates can see the bell timing of the Karnataka State Eligibility Test 2018. After the successful conduction of exam unofficial answer keys are published. 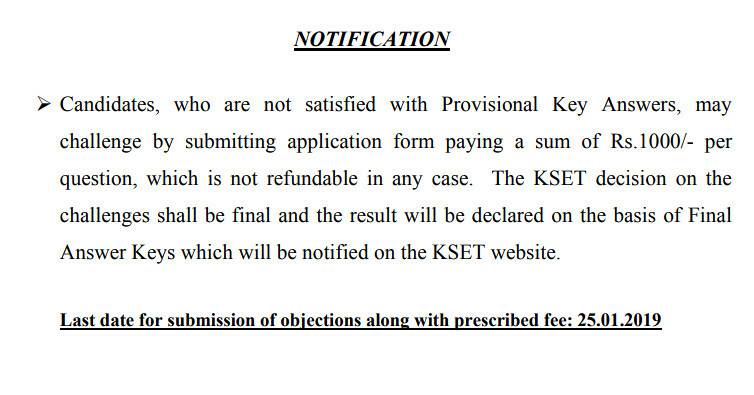 The University of Mysore releases the Official KSET Answer Key 2018. The official answer key has been made available at the official website i.e. kset.uni-Mysore.ac.in. Only official answer key should be taken into consideration for calculating the marks and for estimating the result. Candidates can follow the steps given below for downloading the answer key. After downloading the KSET Answer Key 2018 candidates should take the print out of it for future reference. Click at the above provided link. (As the official answer key will be released link will be updated on the page). Thereafter login window will appear in the new tab. Fill all the asked login credentials at the login page. After filling all the asked details hit the enter button. Answer Key page will appear on the screen. Click at the download option for downloading the KSET Answer Key 2018. How To Estimate Correct Scores From KSET Answer Key 2018? 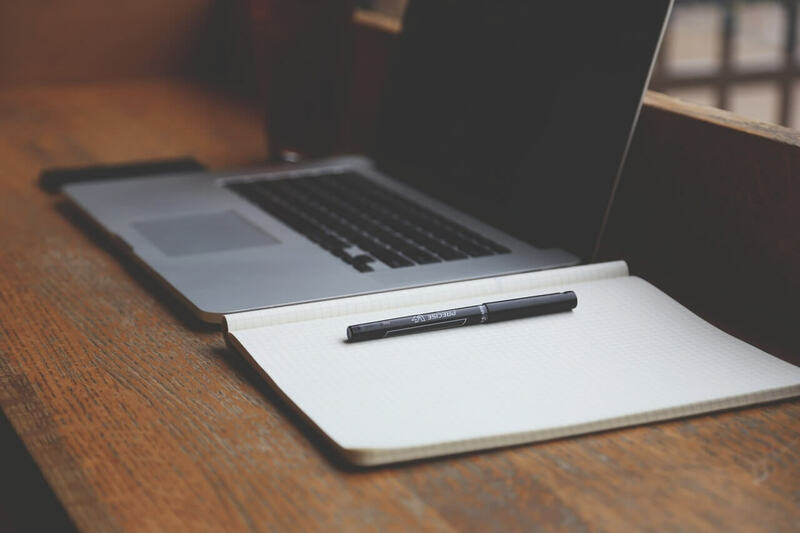 From the answer key page candidate can check their answers that whether the question which he/she has answered in the exam is correct or not and from this procedure candidate can estimate their marks. But while calculating the marks please follow the marking scheme then only the candidate can calculate the correct result. Paper 1 contains 50 objective type compulsory questions from general nature, intended to assess the teaching/research aptitude. This test is primarily designed to test reasoning ability, comprehension, divergent thinking and general awareness of the candidate. Paper 2 contains 100 objective type questions ( Subject – On the basis of Selected Subject). NOTE: In order to be considered for ‘Eligibility for Assistant Professor’, the candidate must have appeared in both the papers and secured at least 40% aggregate marks in both the papers taken together for General (Unreserved) category candidates and at least 35% aggregate marks in both the papers taken together for all candidates belonging to the reserved categories. After releasing the Final Answer Key, KTET Result 2018 will be declared by the University of Mysore at kset.uni-mysore.ac.in. The result will be based on the candidate’s performance of the candidates in the examination. For checking the result candidates need to mention the asked login credentials at the login page. Result will contain the name and roll number of the qualified candidates.